some of this photos are of those famous trains. 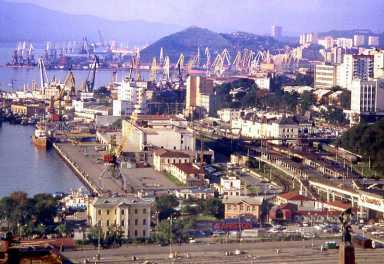 Vladivostok is Russia's largest port city on the Pacific Ocean and the administrative center of Primorsky Krai. 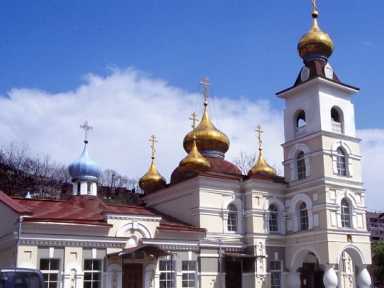 It is situated at the head of the Golden Horn Bay not far from the Russo-Chinese border and North Korea. It is the home port of the Russian Pacific Fleet. The name Vladivostok loosely translates from Russian as "rule the East" a name based on that of Vladikavkaz, at that time a Russian fortress in the Caucasus. The traditional Chinese name for the city is Haishenwai (literally "sea cucumber cliffs"). In mainland China (PRC), it is often known under the transliteration of Fuladíwosituoke but not in Taiwan (ROC). The Japanese name of the city is Urajiosutokku; a rough transliteration of the Russian and often shortened to Urajio. In Korean, the name is transliterated as Beulladiboseutokeu, in South Korea, Ullajibosuttokhu in North Korea, and Beullajiboseu-ttokeu by Koreans in China. Before Russia acquired the Maritime Province by the Treaty of Aigun (1858), the Pacific coast near Vladivostok had been settled by the Jurchen and Manchu. A French whaler visiting the Zolotoy Rog in 1852 discovered several huts of Chinese or Manchu fishermen on the shore of the bay. The naval outpost was founded in 1859 by Count Nikolay Muravyov-Amursky, who named it after the model of Vladikavkaz, a Russian fortress in the Caucasus. The first child was born in Vladivostok in 1863. An elaborate system of fortifications was erected between the 1870s and 1890s. A telegraph line from Vladivostok to Shanghai and Nagasaki was opened in 1871, the year when a commercial port was relocated to this town from Nikolayevsk-on-Amur. The municipal coat of arms, representing the Siberian tiger, was adopted in March 1883. 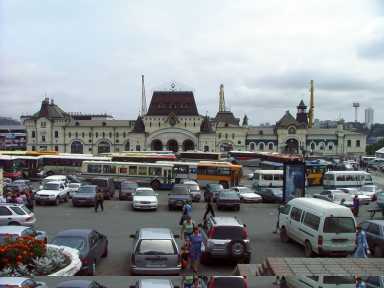 The city's economy was given a boost in 1903, with the completion of the Trans-Siberian Railway which connected Vladivostok to Moscow and Europe. The first high school was opened in 1899. In the wake of the Bolshevik Revolution, Vladivostok was of great military importance for the Far Eastern Republic, the Provisional Priamurye Government, and the Japanese interventionists. The taking of the city by Ieronim Uborevich's Red Army on 25 October 1922 marked the end of the Russian Civil War. As the main naval base of the Soviet Pacific Fleet, the city was closed to foreigners during the Soviet years. Nevertheless, it was at Vladivostok that Leonid Brezhnev and Gerald Ford conducted the Strategic Arms Limitation Talks in 1974. This page was retrieved and condensed from (http://en.wikipedia.org/wiki/Vladivostok) see Wikipedia, the free encyclopedia, January 2008.